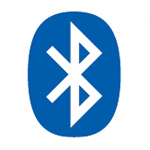 Bluetooth Low Energy is the current preferred method of communication between multiple accessories and Android devices. I can count 4 objects on my body right now that connect to my phone through BLE, not to mention the various accessories strewn across my desk and in other locations around me. Each of these has its own app on my phone that connects to the device every now and then and retrieves data, which, you can easily guess, has a toll on the battery. In Android M, Google is improving the way apps scan for BLE devices. Apps that use the new android.bluetooth.le.ScanSettings.Builder.setCallbackType() will only be notified of callbacks when they first find a match to the set ScanFilter (ie when they match the name or the Mac address of the chosen BLE device) and after a period of inactivity. This should make scanning more effective and more power-efficient. Any small improvement in battery life for BLE connections matters, especially when you consider a future where dozens of various little gadgets might require connections to apps on your device.